I love this article article by the Washington Post about the likelihood of Prime Minister Benjamin Netanyahu of Israel losing to his Labor Party rivals. It reminds me of the old joke about the CEO. When she goes into his office for the 1st time she finds three envelopes and a note from the previous CEO that reads, “open these envelopes in order when you run into trouble.” And so the first time she runs into trouble, she opens the first envelope and finds a note that reads, “blame your predecessor”. And she does so and it works. The next time she has problems, the note inside the second envelope reads, “reorganize”, which she does. And the third time she runs into trouble, she opens the third envelope to find a note that reads, “write out three envelopes”. Surely Bibi is on his third envelope. We will see if he opens it tomorrow. Hawks in Israel are blaming external forces for Mr. Netanyahu’s downfall. Could it be that Bibi had something to do with it by alienating the leader of the most powerful nation on earth, by playing into domestic politics in America and potentially making support for Israel a partisan- rather than bipartisan – issue? In other words, this hawk may have harmed his own country’s through his undermining of support for his country. The same could be said about Senator Cotton and the 46 senators who sent a letter to Ayatollah Khamenei. Just because they might want to rely on force doesn’t mean it is the right way to protect Americans. Egyptian President Morsi is the one man that Hamas is looking toward to start a war with Israel, and that is why there are rockets flying back and forth. While there has been very little news of formal progress between the Israelis and the Palestinians, until this week there had been modest informal improvements day to day in the West Bank, at least. Why now, then, did Hamas decide to escalate in southern Israel? The answer can be found in the protests occurring in Egypt, and the new government of President Mohamed Morsi, who is aligned through the Muslim Brotherhood with Hamas. By escalating the violence, Hamas hopes to elicit a reaction from Israel that would stoke people in Egypt to press Mr. Morsi to abrogate Egypt’s treaty with Israel. Mr. Morsi previously signaled that the treaty is not inviolate, by stating that the Camp David Accords had envisioned a permanent solution long ago. This fits a pattern that the Palestinians have been attempting for the last year: rather than come back to the table, they would prefer to see international pressure exerted on Israel, and the more the better. Firing rockets toward Jerusalem has therefore pushed the government of Prime Minister Benjamin Netanyahu into a corner: the Israeli response against such attacks has always been robust, if not aggressive. If the the rocket attacks into Gaza that demonstrate this point have caused as many Egyptians to protest, imagine what the result of a ground offensive would be. 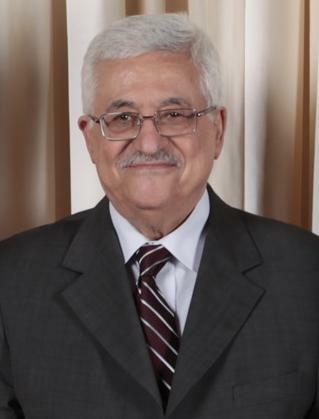 In the meantime, Palestinian Authority President Mahmoud Abbas has had to cut short his world tour, where he has pushed the countries to elevate the status of Palestine to observer state. This has many implications in both political terms and International legal terms, and would represent an attempt at an end run around a bilateral solution. It would provide Palestinians legal claims to sovereignty of their territory. Those claims would do the Palestinians little good in the short term, as Israeli tanks roll across Gaza, and all for the veiled hope that they will somehow come out better (and Israelis worse) thanks to Egypt coming into a war on their side, perhaps bringing others with them. It all hinges on how President Morsi responds to this crisis, and there is reason to be concerned that he will not respond well. Either the Palestinians have grossly misread his support, or he has failed to communicate his position clearly to them, or he is willing to go to war for them in the right conditions. The first two possibilities would seem naïve. If Israel is perceived by enough people to have not responded proportionally, the matter will escalate beyond its borders. This is what Hamas is hoping for. It is a very high stakes game, that involves live ammo and the deaths of both Palestinians and Israelis. Americans who think this won’t involve our military are being equally naïve. Benjamin Netanyahu now joins the ranks of prime ministers of Israel who have advocated strength and ended up seeing Israelis attacked. Good one, Bibi. Is it us or is it all of the Middle East that needs fixing? There is a great interview in the New York Times with Egyptian President Mohamed Morsi, and I encourage everyone to read it. Egypt has a very complicated and pivotal role in the region, and with the United States. Since their treaty with Israel, the U.S. has given Egypt over $1 billion a year in financial aid, and either in turn or simply by happy coincidence they have been a moderating influence in the region. Of course, we were giving money to a government that was not democratically elected, and whose policies towards Israel were not popular. President Morsi takes America to task. He says that we need to change, and that we need to not ignore the suffering of Palestinians. I agree. We have not done a good service to the Palestinians. Mr. Morsi views that the promise of the Camp David Accords has not been fulfilled. He further accuses us of interfering with the region with our foreign aid polices, while at the same time noting our support for the Arab Spring. This man is clearly positioning himself as the spokesman for the region, and he has pretty good street creds to do it. Furthermore, he is the democratically elected leader of a region where previously the only country to have one was Israel. On the other hand, we are not the only ones who need to change. Each society in that region needs to recognize Israel’s right to exist, and that American values preclude us from prosecuting someone for their views about Islam, whether or not we like their views. Mr. Morsi does not address this. His failure to immediately condemn the invasion of our embassy as well as his failure to call out problems within the region, means that he himself must come to terms with what it means to be a leader. In the immortal words of Albus Dumbledore, it’s easy to stand up to your enemies, but standing up to your friends takes true courage. Furthermore, there are some regional values that we ought not stand for, and one of them is the poor treatment of women. On the one hand, he says that woman should be allowed to run for public office, but on the other hand, being a product of the Muslim Brotherhood, he implies that he himself wouldn’t vote for one. For the region, this is radically liberal. Second, our fundamental freedoms as articulated in our Constitution are not negotiable, and we will not treat with people or their representatives who threaten Americans or our diplomats, simply because someone said something they didn’t like. Honesty in a relationship demands that divisions need to be exposed before they can be healed. The biggest question we should be asking ourselves is what the American aid we are giving is going to. Mr. Morsi clearly resents the aid we gave to his predecessors. What, then, does it mean to provide Egypt aid today? Finally there must be follow-through on our part. If we say we’re going to do something, we must do it. If Palestinians meet the conditions to create their own state, we must support this position. Mr. Morsi is pointing out that at this time, nobody in the Middle East views the U.S. as an honest broker between Israel and the Palestinians, and that needs to be corrected – both the perception and the underlying reasons. Author EliotPosted on September 23, 2012 Categories Humanity, PoliticsTags Egypt, Israel, Middle East, PalestiniansLeave a comment on Is it us or is it all of the Middle East that needs fixing? Iran sending aid to Gaza? What else is new? Yes, the headlines from Al Jazeera read, “Iran to send aid ships to Gaza”. Here’s the problem: they’ve probably been aid to Gaza all along, but not the type of aid that actually helps people. Their type of aid includes guns, ammunition, and perhaps not much that could even be considered “dual use”. In fact, given what Iran is in hot water for, themselves, perhaps the ”aid” might take an entirely new dimension. It’s not that I’m in favor of blockading aid to Gaza, especially legitimate aid. But Iran is classically overplaying its hand against the court of world opinion, while its own citizens are in great need of such aid, with oil prices having been flat for quite a while. We can always point at one side or the other in the conflict in Gaza and assign fault. It’s undeniably true that Hamas shot off rockets into Israel, and it is equally undeniably true that the conditions in Gaza itself are appalling. Iran won’t resolve this matter. Instead they are just playing to everyone’s emotions, and they’re not doing that good of job at it. Author EliotPosted on June 15, 2010 Categories Complexity, PoliticsTags Blockade, Hamas, Iran, IsraelLeave a comment on Iran sending aid to Gaza? What else is new?